It’s hard to disassociate Champagne with the style of fizz that we know and love today, but it wasn’t until the 19th century that the region became known for sparkling wine. The vine arrived in Champagne as early as the 5th century, along with the Romans. The wines made, however, were pale reds, slightly wan styles of Pinot Noir that nevertheless competed with those made further south in Burgundy. The wines of Äy were as respected as those of Corton. But there was a problem with the wines. The region’s cold winters would chill the wine as it was fermenting, stopping the reaction before all the residual sugar had been converted into carbon dioxide and alcohol. As spring arrived, and the wines warmed up, the remaining sugar and yeast would start fermenting again. As the wines were in bottle at this point, the carbon dioxide had nowhere to go and would make the wine fizzy. These accidental bubbles were considered a fault. The glass bottles of the time were not prepared for wines with such pressure and, as a result, many bottles unexpectedly exploded. This phenomenon wasn’t properly understood and winemakers duly pointed the finger at nefarious spirits, earning Champagne the name of “le vin du diable” (the devil’s wine). The region’s winemakers were desperate to rid the wines of their problematic “pop”. Dom Pérignon – the Benedictine monk who gave his name to the prestige cuvée – was one of the many locals charged with this task, hoping to cure the wines of their expensive and suspicious behaviour. Although Dom Pérignon is often said to have invented sparkling Champagne – emerging from the cellars in the late 17th century, exclaiming “Come quickly, I am tasting the stars!” – this is, unfortunately, a myth. In fact, it is an Englishman often credited with solving this devilish mystery. Wines were at that time shipped across the Channel (and around the world) in barrel, not bottle. They would then be bottled by merchants in the UK. The wines continued to suffer from their sparkling issues, but it was soon remedied. In 1615, Parliament banned the use of wood as a fuel; the resulting switch to coal had a significant impact on the glass bottles made in Britain. The new coal-fired glass was much stronger. As such, they were able to withstand the pressure of sparkling wine. In 1662, Christopher Merret presented a paper to the Royal Society, outlining what we now recognise as the “méthode Champenoise” – the traditional method of making sparkling wine, with a second fermentation in bottle. This combined with the nation’s new, strong glass meant that Britain could savour the wines’ sparkle. In honour of Christopher Merret, English sparkling wine producer Ridgeview has hopes that “Merret” will become the protected term for our nation’s fizz. Sparkling wine started to spread, becoming a popular choice of the French court under Philippe II. From the 18th century onwards, Champagne Houses started opening their doors. The region had finally found its fizz. 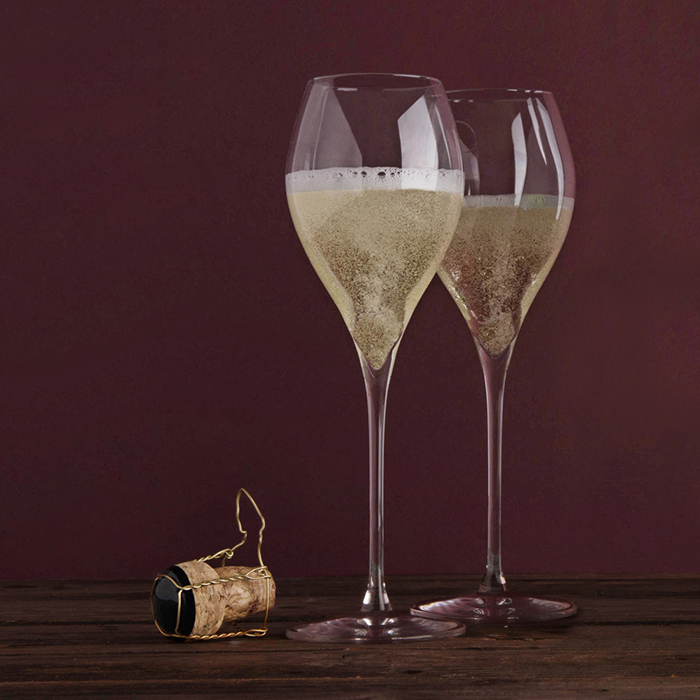 Explore our range of Champagne on bbr.com. Thank you for an interesting article. What I fail to understand though, is the fact that since the appearance of fizz was due to the second (spring) fermentation in the bottle, what happened to the barrels shipped to England? Would carbon dioxide escape from the barrel resulting in a flat wine or not escape, resulting in barrels exploding? Or was it that the wine was shipped in barrels to England before the cold weather set in, immediately bottled and left to ferment in the bottles? Some sort of time-delay, or a tiny alka-seltzer? What a very interesting and informative article. Thank you. An excellent question. The primary fermentation would have taken place in barrel, then the wine would be shipped during the cold months to England, where merchants would bottle the wine. The fermentation would re-start in bottle, creating a sparkling wine and, prior to the use of stronger coal-fired glass, would also have been prone to unexpected explosion. If. which is highly improbable, there was to be any benefit for the UK from the folly of leaving the EU, might it be that the time would have come for HMRC to succumb to pressure to give British sparkling wine makers some tax breaks. Very interesting, thank you. Why doesn’t red wine do the same. Is there red champagne? Two of the three main grape varieties used to make Champagne are in fact red (Pinot Noir and Pinot Meunier; Chardonnay is white). These are traditionally pressed so lightly to avoid extracting colour and tannin (or only enough to make it rosé. Red sparkling wine is not made (or permitted) in Champagne, but is made elsewhere. Australia’s Barossa Valley is known for making sparkling Shiraz in the traditional, or “Champagne”, method. The key is to use low tannin base wines, that when paired with sparkling wine’s high acidity and fizz, won’t be too astringent.